Rain, rain go away, except when we have fun umbrellas with which to play! 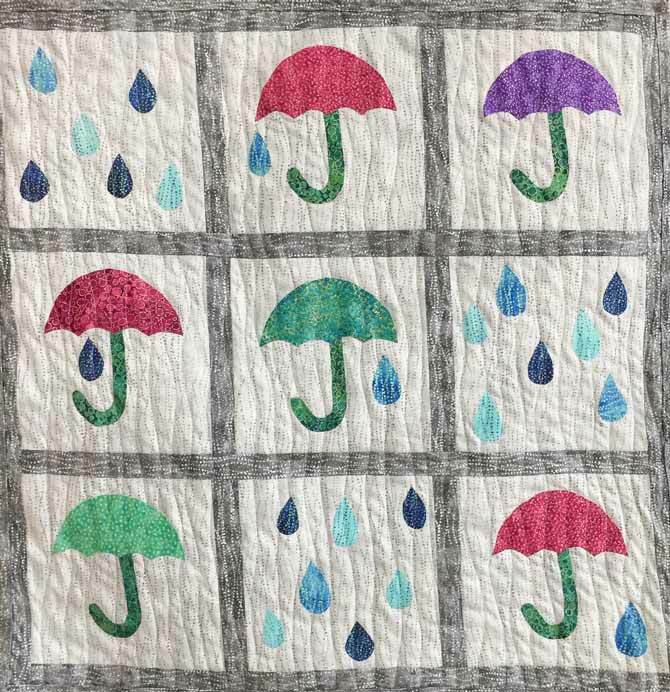 This sweet rainy quilt is perfect to brighten up a room. Yesterday, we finished our fun tulips quilted wall hanging using Northcott’s Artisan Spirit Shimmer Echoes fabric collection. 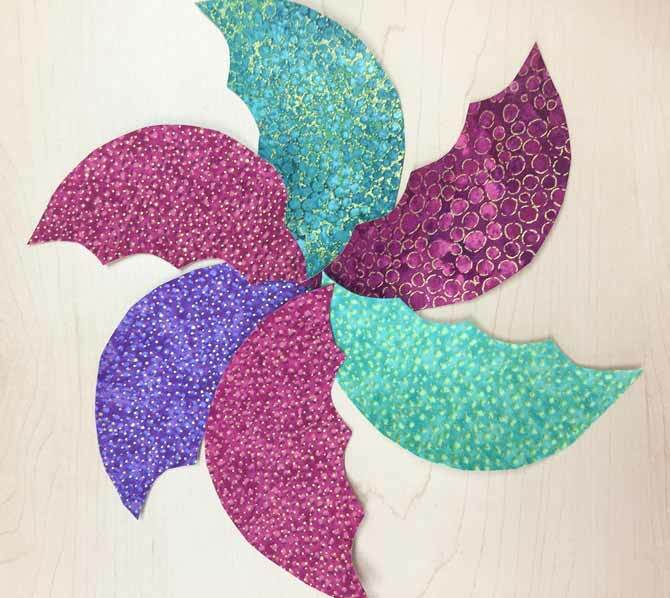 Today, we’re using the same fabric collection to fuse umbrella shapes to make a colorful umbrellas and raindrops quilt. 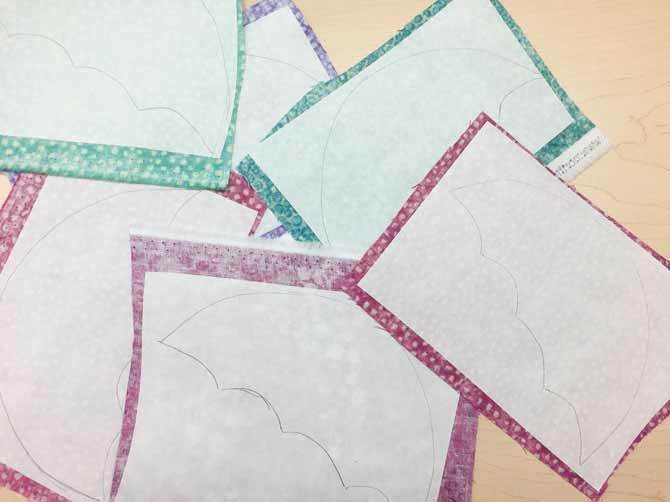 Fusible applique is a fun, quick, and easy way to embellish a quilt, and lets you use all types of shapes. Umbrella and raindrop template. Click on the picture to download the PDF. Using the light gray drizzle fabric, cut nine 8½” blocks, ensuring that the pattern of the fabric is vertical to look like rain. 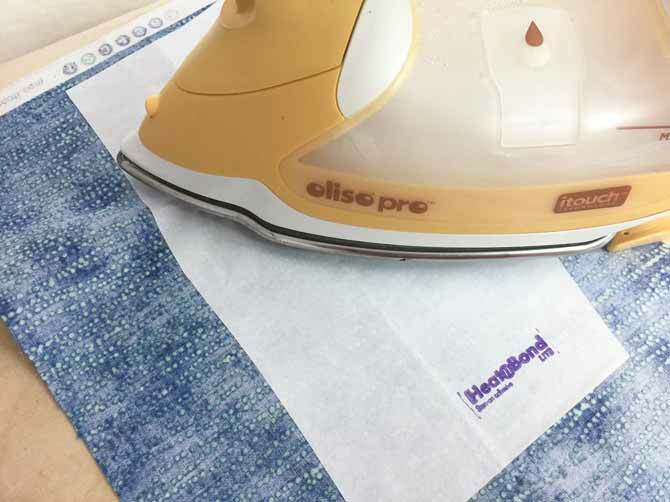 Iron the HEATNBOND Lite Iron-On Adhesive Sheets onto the back of the five pieces of fabric for the umbrellas. For one fabric, ensure that you have enough for two umbrellas. 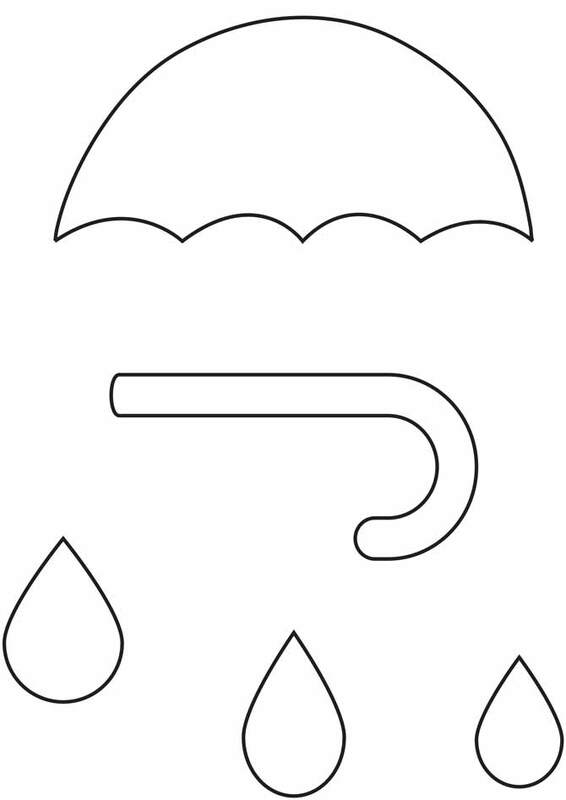 Cut out the umbrella template, and trace the images onto the paper side of the fused sheets. Cut out the shapes. This gives you five umbrellas. Cut out one more umbrella shape from one of the fabrics. I chose the pink. Repeat the steps above for the umbrella handles, using the adhesive sheets and the green fabric, and cutting out six handles. Press the fusing onto the back of the fabric for the umbrella handles. Remember, if you want all your handles going in the same direction, make sure to place the template on backwards on the fabric. Center the umbrellas and handles on the gray blocks, tucking the handle under the umbrella, then press down following the manufacturer’s instructions. Fuse the umbrella and handle to the background, tucking the top of the handle under the umbrella. 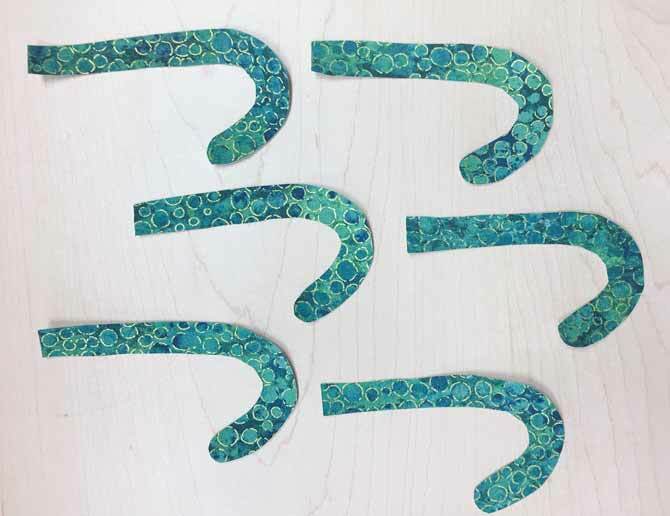 Fusible applique adds fun to your quilt. With this technique the possibilities are endless. 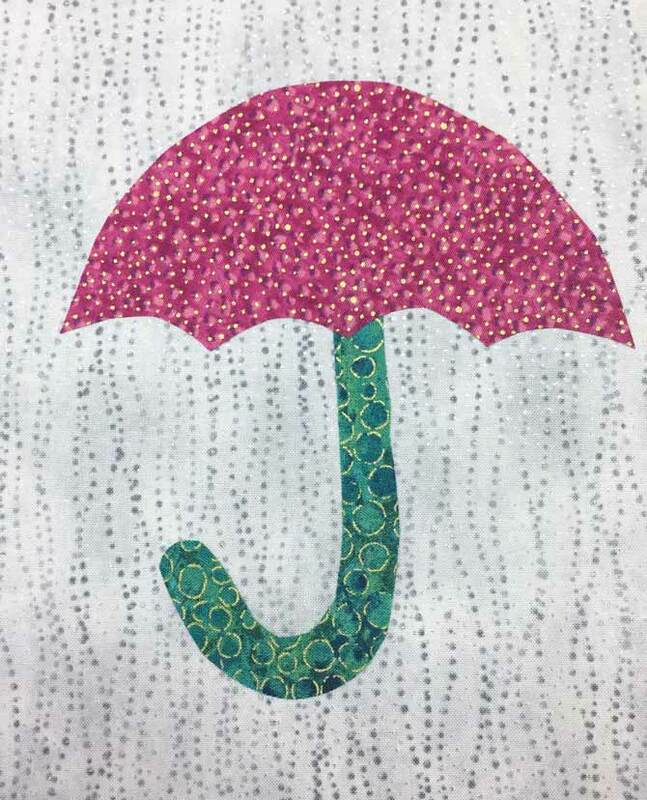 Come back tomorrow as we finish our quilted umbrellas wall hanging using Northcott’s Artisan Spirit Shimmer Echoes fabric collection! 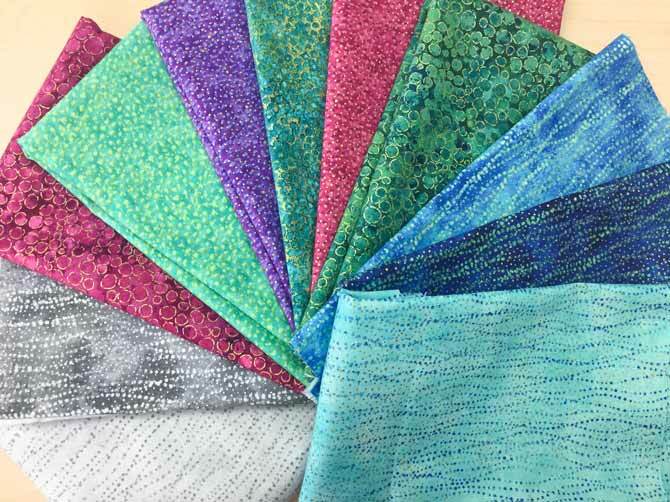 You have chosen beautiful fabrics! What a fun design! Rainy day is going to be fun. thanks for the idea – can’t wait to try it.